(and of course offering much-needed help and redemption in the process). and voila!... 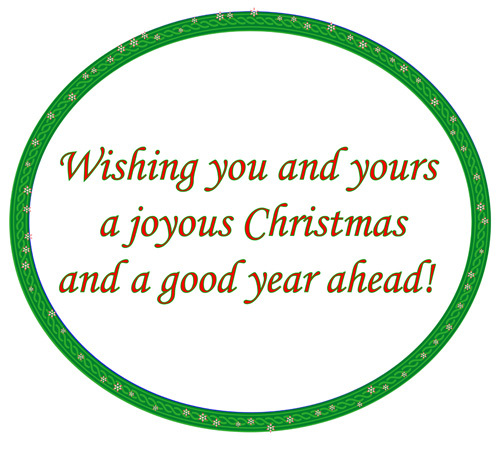 the 2011 card. and that pondering its offbeat message blesses your heart. since we as humans tend to mess things up quite often. 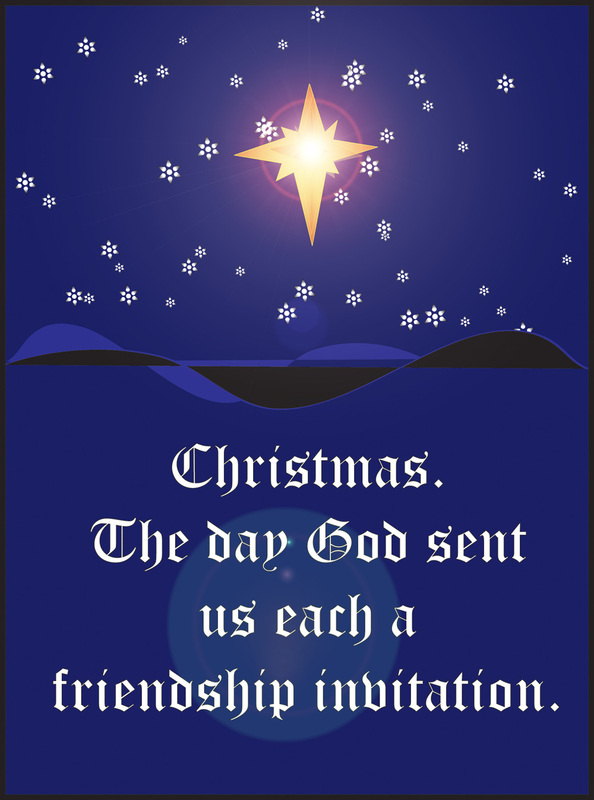 The 2009 Christmas Card with a "texting" theme. would have sent if he did! 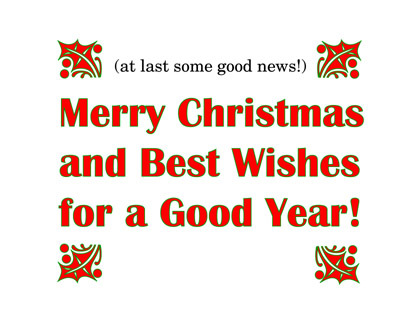 At least OMG is used in proper theological context for once! 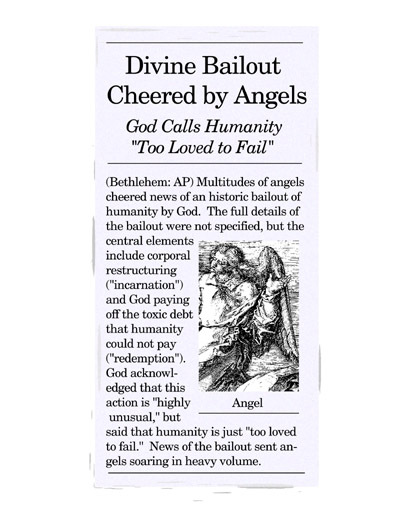 A "bailout" theme sounds really odd for a Christmas card at first. positive feedback on this one. People enjoyed the humor and the message. "Has Earth Been Visited by An Extraterrestrial?" at least until you read the inside and think "
Whose birthday are we celebrating anyway?" Cover is above. Inside is below. 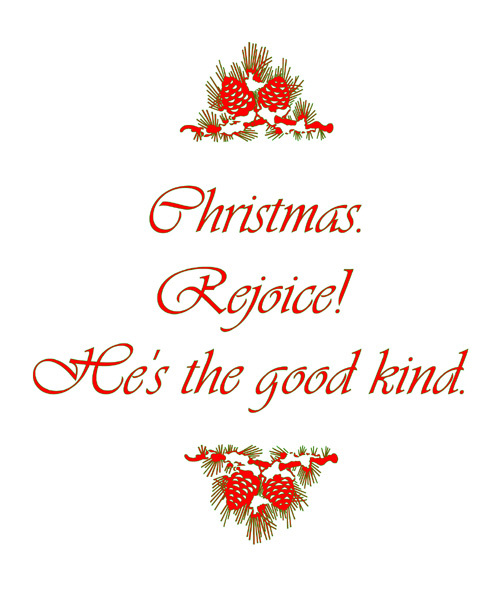 (He is the good kind!)" Theme. 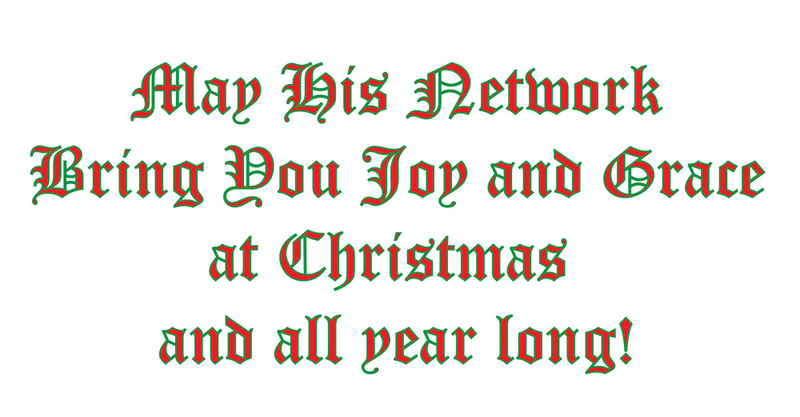 are why he sent his Son and what Christmas is all about. should motivate us in our lives as well. Received some good feedback on this one also. 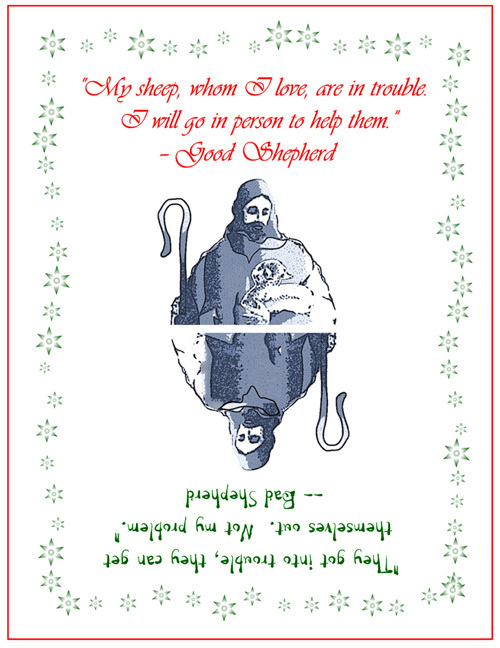 2007 Christmas Card with "Save vs. Delete" Theme. 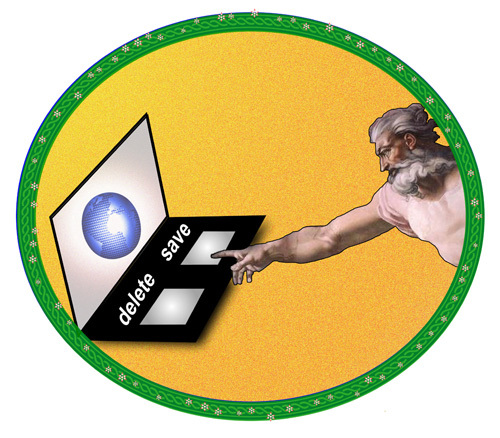 God to send Jesus -- with a humorous computer theme.